This volume of ten essays by classicists, art historians and archaeologists seeks to engage with the intellectual challenge that is making sense of Greek art. 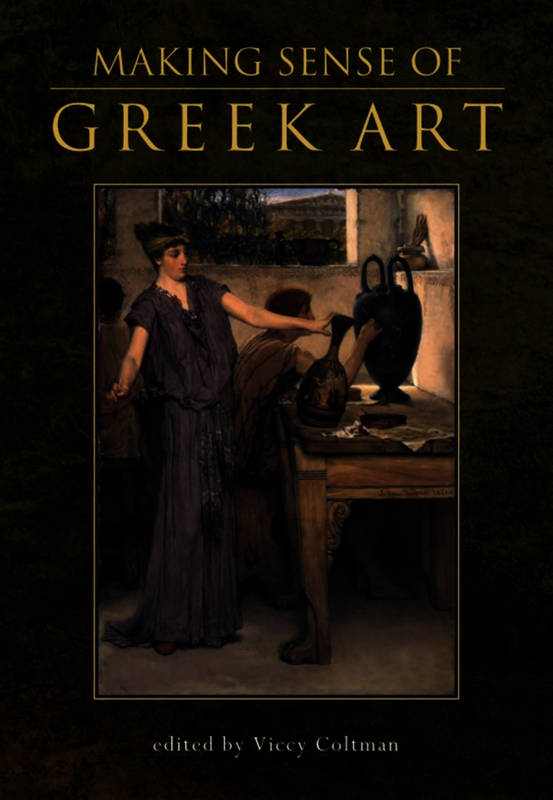 Each essay and the collection as a whole strives to ask what is at stake historically in the designation ‘Greek art’ through the close study of a variety of objects, including sculptures, paintings, mirrors and mosaics, in their ancient Greek context and through their later adoptions and reworkings from the Hellenistic and Roman periods. The ten essays trace a thread of classical artistry across the centuries, and are published here in memory of John Betts, who taught in the Department of Classics at the University of Bristol for thirty-seven years and founded Bristol Classical Press in 1977. Chronologically, the essays cover the so-called Archaic period in Greece, from 750-500 BCE, up to the Crystal Palace at Sydenham in mid nineteenth-century Britain. With this vast historical panorama, the volume offers a series of discrete historical case-studies, with a surprising overlap in the recurring themes of originality and reproduction, cultural identities and desire. Viccy Coltman is Senior Lecturer in the History of Art at the University of Edinburgh and has held visiting fellowships at the British School at Rome; Center for British Art; Yale University; the National Gallery of Art in Washington; IASH (Institute for Advanced Study in the Humanties, University of Edinburgh); CRASSH (Centre for Research in the Arts, Social Sciences and Humanities, University of Cambridge); and the Huntington Library, California.